This is our fifth post in our summer series featuring new organizations participating in their first Google Summer of Code. The organization administrators explain their project in more detail and discuss the tasks the students are working on this summer. The Hedgewars Project started out with a solo developer trying to offer an alternative cross-platform strategy experience just for fun. People soon noticed the potential of the game and a community of players and developers quickly gathered, providing the pleasant graphical appearance and interesting playing concepts available today. Currently Hedgewars is on all major platforms and is evolving into a professional quality game; for this reason we are constantly looking for great ideas and active contributors. With the Google Summer of Code we were given the opportunity to attract new contributors. We have two important features being developed by our students, one involving a refactoring and expansion of the current artificial intelligence, the other regarding a port to the Android platform. We are excited for the involvement of the whole community in selecting the best ideas and in offering their help to the new developers. This is our first Google Summer of Code and we are committed to excelling so that in future programs we can continue offering new features to our game and contributing to open source software. DokuWiki is a popular, simple to use Wiki software written in PHP. It has very low system requirements and is running in various environments, from single user personal wikis to large enterprise installations. 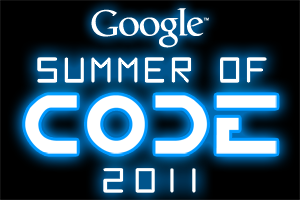 The project is in its 7th year now and this is our first year of participating in Google Summer of Code. One of the main success factors of DokuWiki is its extendability through its powerful plugin system. More than 700 different plugins are already available. To make finding, installing and managing plugins easier, creating an improved plugin manager is one of our two Google Summer of Code projects. The second project aims to add one important feature still missing from DokuWiki: keeping revisions for media files like images and videos. Through open sourcing the software used for detecting signals of extra-terrestrial technology, give everyone the ability to include their ideas about improving our search. Incorporate new algorithms, regardless of their source, in the search. Develop apps that even non-technical people (citizen scientists) can use to participate in the search. Create an environment to act on feedback from citizen scientists. A year ago, Google Summer of Code participation was a dream for us. This year the dream became a reality with 59 students applying for our 2 slots. More important than the number was the quality of applications we received. Most applicants had put in a great amount of effort into their applications and then put in even more work to modify their proposals after discussions with our team. It was difficult to choose just two students but we are thrilled to have Khurram and Aditya working with us this summer. Khurram is creating a whole new build environment for this software, and porting the software to run on multiple Linux distributions. Aditya is open sourcing many of the algorithms that we have prototyped but not quite implemented in the open source software. We look forward to seeing what the students will accomplish this summer. We are thrilled to have many of the students who applied through the Google Summer of Code program choose to work with us as volunteers outside of the program as well. This is VTK’s first year as a Google Summer of Code mentoring organization, and we are very pleased to be here. During the application period we received a large number of very high-quality proposals, and I would like to thank all of the students who applied. As it is our first year we were limited to two slots, which made choosing our students even more difficult. After much deliberation we made our decisions and I am very happy to welcome David Lonie and Tharindu De Silva as our first Google Summer of Code students! David is working on chemistry visualization in VTK, and Tharindu is working on implementing select algorithms from IEEE VisWeek in VTK. I have seen great results from both students, and they are already taking shape after only a few weeks of active development. This is a very exciting year for the VTK community with our Google Summer of Code participation, modularization of our source tree and refresh of the build system. There are also lots of great new features going into VTK such as new charts, improved interaction and much more. These are just four of the 50 new organizations participating in Google Summer of Code this year. For a complete list of the 175 organizations participating in the Google Summer of Code visit our program site. Please check back next Friday when we highlight additional organizations.